Many Christians are intimidated when they find Jehovah’s Witnesses at their door. The myth in the minds of most Christians is that Jehovah’s Witnesses know the bible very well. This is untrue. In reality, Jehovah’s Witnesses do not know the bible well at all. What they actually know is their presentation. Once they are taken off of their presentation, they quickly become lost. They may actually become surprisingly teachable due to the high respect they have for the scriptures. Sadly, most Christians are completely unprepared to defend their faith. They do not have a solid grasp of major Christian doctrines such as the Trinity. Jehovah’s Witnesses prey on this ignorance. The purpose of this manual is to assist the Christian who has a desire to evangelize those enslaved by the Watchtower to share powerfully the truth that Jesus is fully God while avoiding verses such as (John 1:1) and (John 5:7) with which JW’s are familiar and for which they believe they have airtight answers. This manual will give mock dialogues to demonstrate how to use the scriptures and solid questions to provoke thought in the mind of the Jehovah’s Witness. The Holy Spirit can use these questions to begin to undermine their faith in the teaching of the Watchtower. It is our sincere prayer that those reading this manual will receive a change of heart from fear to rejoicing at the opportunity to share Christ with these very sincere yet very lost people. In a very real sense, having a Jehovah’s Witness come to your house is a privilege. God has given you the special task of sharing the truth about Christ to them. It is necessary at this point to comment about expectations when one shares with Jehovah’s Witnesses. Unless the Witness is a new convert, it is highly unlikely that they will renounce the Watchtower and come to Christ after one encounter. Many times Christians believe they have failed if the cultist doesn’t immediately leave the cult. Most Jehovah’s Witnesses who leave the group do so after years of struggle. The cost to leave the cult is high as they will be immediately cut off from any family who remain in the Watchtower. The Witness is most likely not going to fall on their knees after one encounter and ask what is necessary to be saved. The Christian should imagine what it would take to cause them to leave Christianity. The hope is to place a crack in the JW’s armor that the Holy Spirit will use to bring conviction eventually leading to salvation. In attempting to witness to Jehovah’s Witnesses, one should remember the wise words of former Jehovah’s Witness, Joan Centnar who states, “Talk to God about the person more than you talk to the person about God.” This reminds us that salvation is ultimately a miracle of God and not the work of man. Share the truth in the power of the Holy Spirit and pray. God alone brings the increase. JW attacks on the trinity and the deity of Christ will come in three forms, biblical, historical and logical. If the Christian can effectively answer these basic arguments, they can use the cultists own attack to build a bridge for a powerful communication of the truth. In order to provoke an attack on the Trinity and the deity of Christ, the Christian merely needs to ask a question such as, “Is it true that Jehovah’s Witnesses teach that Jesus is a created being and not Almighty God?” The Witness will readily engage in a discussion of this nature as they are fully convinced they know the answers. They also are fully convinced that Christians have no answers for what they are about to say. In this section we will look at the most common objections raised by followers of the Watchtower and how to effectively respond to them. Most of the verses that JW’s will use to attack the full deity of Jesus Christ, when properly understood, relate either to Jesus’ voluntary submission to the Father or to the voluntary humbling of Himself that took place in His incarnation. The Christian should be alert for these issues. Two other passages need special attention, Proverbs 8 and Colossians 1, because JW’s misuse them to attempt to show that Jesus is a created being. Special attention needs to be given to these verses. Here, in some convoluted fashion, the JW will state that wisdom in this passage is a symbol for Jesus Christ. Since Wisdom says that she was the first creation of Jehovah and was with Him as a master builder this must mean that Jesus was created by Jehovah and was then used by Him to create all other things. Christian: Where do you see Jesus mentioned in this passage? I see wisdom but I don’t understand why you have taken wisdom to mean Jesus? Christian: Oh, so every time I read the word wisdom in the bible I should substitute Jesus? Like where it says the fear of the Lord is the beginning of wisdom, I can put Jesus in there as well? Christian: Well, I have another question. Who is Prudence in this passage? It says in verse 12 that “I wisdom dwell with prudence”. If wisdom is Jesus, who is prudence? JW: Prudence isn’t anyone. This simply means that Jesus has understanding. Christian: By what rule of interpretation can you interpret wisdom as a symbol for a person but leave prudence alone? Christian: Ok, let’s say for the sake of discussion that wisdom really is Jesus in this passage even though I don’t think that’s true. Was there ever a time when God was without His wisdom? In other words, did God truly create His wisdom or was His wisdom always with Him? JW: No, God has always had wisdom. Christian: Then if wisdom is a symbol or picture of Jesus here, and since God never truly created His wisdom but has always had it, wouldn’t this mean that Jesus would have to be as eternal as the wisdom of God and not truly created? Important Note: The New World Translation has altered the original text in this passage to say that by Jesus all other things have been created. The word other is not in the original language and is in parenthesis in the NWT. Sometimes it is helpful to point this out to the Witness. In order to understand and explain this passage one must have a proper concept of “firstborn”. The phrase can mean one who is first in time but it can also mean the one who has authority or first in rank. For instance David is called the firstborn in Psalm 89:27 though he was not the first king of Israel and Ephraim is called the firstborn of God in Jeremiah 31:9 though Ephraim was not the first tribe nor was the Northern Kingdom the first nation. Once this concept is explained to the Witness, the next step is to look at the context of the passage to see what is being discussed. Colossians chapter 1:16-18 demonstrate that the issue being discussed is clearly the preeminence of Christ over all things in creation. This fits with an understanding of the context of Colossians where one of the heresies was the worship of angels. Paul is refocusing the church on the greatness of Christ. Christian: Are you familiar with the context of Paul’s letter to the Colossians? Christian: Part of what Paul was addressing was Gnostic heresies that were leading the Colossians to worship angels, especially Michael the Archangel. In Colossians, Paul shows that Jesus is far above all of these other things. When we look at this passage and understand the context, it is obvious that Paul is using the word “firstborn” to indicate the superiority of Jesus not any order in creation. From this point, one can again transition to the presentation about Jesus. John 14:28 “my Father is greater than I”. This is perhaps the most common passage used by Witnesses that deals with the voluntary submission and authority within the Godhead. It is important to note that greater does not necessarily mean different in essence or glory. For example, at the time of this writing, George Bush is the President of the United States. It would be proper for me to say that “George Bush is greater than I”. He has more authority than I have. Yet he is not of a greater substance than I am. He is still a man. In a similar way, the Son voluntarily submits to the authority of the Father so He can rightly say that the Father is greater but this does not necessarily mean that the Father is of a different nature from the Son. Christian: In understanding the Bible, it is important that we look at all that the Bible has to say about a particular subject isn’t it? The Trinity is a pagan doctrine that crept into the church. JW: Did you know that the Trinity is actually a pagan doctrine? For instance, the Babylonians had a Trinity. The Assyrians had a Trinity. Even the Hindu’s have a Trinity. Why would you want to believe in a pagan doctrine? Christian: Actually, these other cultures that you mentioned had a triad of three gods that ruled over a pantheon of other gods. This is certainly different than the doctrine of the Trinity that teaches there is one and only one God eternally existing in three Persons isn’t it? JW: I can see that it is slightly different. Christian: Also did you know that all of these same cultures and countless others have an account of a world-wide flood similar to the account of Noah in Genesis? In Babylon it was called the “Epic of Gilgamesh”. Does this mean that we shouldn’t believe in the story of the great flood because it has similarities with the beliefs of other religions? JW: No, I wouldn’t say that. JW: The doctrine of the Trinity wasn’t even developed until the Fourth Century at the Council of Nicaea. Why would you want to believe in something that wasn’t believed by the first Christians? Christian: Actually, you are misstating church history. The early Christians all believed that Jesus was fully divine even if they didn’t use the word “trinity”. Church fathers like Athenagorus, Irenaeus and Tertullian taught the concept of the Trinity in the Second Century. In fact, the early debates in Christianity were not over the deity of Christ but His humanity. The first heretics, the Gnostics, denied that Jesus was truly human. The church didn’t have to deal with the deity of Christ in a council until the Fourth Century because up until then it was universally agreed upon. It wasn’t until the heretic Arius taught that Jesus was created that the church used a council to define what the orthodox doctrine was on this matter. JW: Did you know the word, “trinity” isn’t even found in the Bible? Why would you want to believe in something that isn’t even in the Bible? These arguments all relate to Jehovah’s Witnesses misstating the doctrine of the Trinity to attempt to create a logical inconsistency. They will do this by trying to say that the doctrine teaches that Jesus is the Father. It is vital that the Christian have a proper definition of the doctrine of the Trinity. The orthodox doctrine is that there is one God, eternally existing in three Persons, Father, Son and Holy Spirit. The Son is not the Father or the Spirit. The Spirit is not the Father or the Son. The Father is not the Son or the Spirit. But all three Persons are one God. If Jesus is God then who was running the universe while Jesus was in the grave. This line of reasoning actually contains multiple errors. Jehovah’s Witnesses understand death to be an end to a person’s conscious existence until the resurrection. Actually physical death is merely the separation of the soul or spirit from the body. But in order to avoid becoming sidetracked into a separate issue the believer merely needs to remind the Witness that the doctrine of the Trinity teaches that the Father and Son are separate in person so the Father continued to run the universe just as He always has. If Jesus is God then who was he praying to in the garden? The answer here is similar to the one above. Jesus was praying to the Father. The Son is not the Father. The Father and the Son are both God. Once again explain that the doctrine is one God eternally existing in three persons. In this section we are going to build a case beginning with truths with which the Witness will agree. In doing this, one can more effectively relate to the JW and disarm them. Do not allow yourself to become sidetracked on minor issues. When the JW brings up a secondary issue, tell them you would be happy to discuss that issue on another visit. The Bible teaches there is only one God. Have the Witness read John 17:3. It will usually surprise them that you have chosen to start here. Christian: Now this verse teaches that there is only one true God right? Christian: And knowing the truth about this one God is essential to everlasting life right? Christian: Ok. Let’s see what else the Bible teaches about this one true God. No other gods existed before this God nor were created after Him. Ask the Witness to read Isaiah 43:10. Christian: Now this verse tells us that no gods existed before Jehovah and no gods were created after Jehovah right? Christian: Good. I agree. Let’s keep going. Jehovah will not share His glory. Ask the Witness to read Isaiah 42:8. Christian: Now this verse teaches that Jehovah will not share His glory with anyone else right? JW: Yes, I agree with that also. JW: Well, Jesus is referred to as a mighty god here but he is never called Almighty God. In the bible, Satan is called the god of this world and idols are also called gods but that doesn’t mean that they are equal to Jehovah. Christian: It is true that Satan is called the god of this world and idols are called gods but we would agree that these are all false gods right? Christian: So that brings me back to my original question, Jesus is called God. Is he a true God or a false god? Christian: I have another question at this point. The Watchtower teaches that Jesus is “a god” created by Jehovah God. But how can this be when we just read in Isaiah 43:10 that Jehovah says that never happened? Activities claimed by Jehovah in the Old Testament are applied to Jesus in the New Testament. Read Isaiah 44:24. Note the phrase “by Myself”. Christian: Here Jehovah says He stretched out the heavens alone and the earth by Myself. Now this is important. If I say to you that I just built a deck on my house, that may mean that I did it along with some other people or it could even mean that I merely hired someone else to do it for me. But if I tell you that I did it by myself that means something different right? JW: I can see that. Christian: But now, let’s look at John 1:3. Read the verse. Here the Bible says that Jesus created everything that was made. Do you see that these verses can not both be true unless Jesus is God? JW: Well Jesus came alongside Jehovah as a Master Builder just like we read in Proverbs 8 and he created all other things. Christian: But remember, Jehovah says that He did it by Himself. This means that He did it alone without help from anyone else. Titles used for Jehovah in the Old Testament are applied to Jesus. Read Isaiah 9:6 and Isaiah 10:21. Christian: Now look, here Jesus is called Mighty God. This is the same title used for Jehovah in Isaiah 10:21. Read Isaiah 43:10-11 and Titus 1:4. In these passages Jehovah tells us that He is the only savior but in Titus, Jesus is called the savior. Do you see that Jehovah’s titles are being given to Jesus? And remember something else we looked at earlier. Jehovah says that He does not share His glory with another. Honor and worship given to Jehovah is also given to Jesus. Note: This is a particularly devastating point to the Jehovah’s Witness. Prayerfully drive it home. Christian: Do you see here that Jesus indicates that the Father wants all men to honor the Son Jesus in the same way that they honor the Father? JW: Well, if you had a son, it would you please you for people to honor him. Jesus is the son of Jehovah and it pleases Jehovah when we honor Jesus. Christian: But the difference is that my son is the same sort of being that I am. I am not God. To honor someone who is less than Jehovah in the same way that we honor Jehovah is idolatry. If Jesus is a created being this would be idolatry. Do you see that? Look at another verse. Christian: Now notice that the blessing, glory and honor is given to “Him who sits on the throne”. Who would that be? JW: That would be Jehovah. Christian: That’s right. But notice that the blessing, glory and honor is not only to go to “Him who sits on the throne” but also to “the Lamb”. Who is the Lamb? JW: I think the Lamb would be Jesus. Christian: Right. Do you see that worship is going to Jehovah and Jesus equally? And remember this is occurring in heaven, around the throne, where worship would be perfect. Also remember what we read from Jehovah earlier, He does not share His glory. JW: I need to look at this passage later. I am not familiar with it. The New Testament exalts the name of Jesus. Note: Once again, this is a devastating point. The reason this is so important is because of the emphasis Jehovah’s Witnesses place on the divine name. Remember that they believe that Jehovah is the only true name for God. All modern translations of the bible, with the exception of the New World Translation, have been corrupted and the divine name has been removed. What the Witness has never taken time to think about is that the New Testament exalts the name of Jesus. There is no need to look at references for all of these issues. The Witness will be familiar enough with them in order for the point to come home. Incidentally, there are many more examples besides those given here. You may want to begin your own list. Christian: There is something else that is very important. Did you ever stop to notice that the New Testament exalts the name of Jesus? JW: I don’t understand what you mean. I’m not sure what you’re saying. Remember again that we read that Jehovah does not share His glory. The Old Testament calls more than one person Jehovah. The second person is Jesus. Note: This passage is of particular interest and is very useful in the New World Translation because of their insistence on inserting the name of Jehovah throughout the translation. Walk the Witness through this passage slowly so that it sinks in. Do not allow them to misinterpret the passage. Read it over if necessary. We are indebted to our good friends at Midwest Christian Outreach for the material in this section. Christian: Who does the Bible say is speaking here? Christian: That’s right. Let’s continue. Christian: So we see that Jehovah is still speaking. Christian: Now who is about to speak? Christian: Right. Now let’s continue. 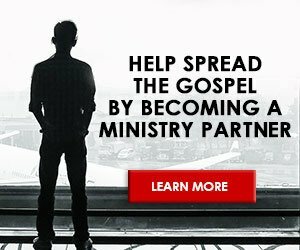 Christian: Who is being sent? JW: This must mean Zechariah. Christian: Wait a minute. We said Jehovah of Armies is speaking. Jehovah says, “He has sent me.” Let’s go on and see if this is truly Zechariah. “for he that is touching You is touching my eyeball. For here I am waving my hand against them, and they will have to become spoil to their slaves. And You people will certainly know that Jehovah of armies himself has sent me. Christian: Now who is still speaking? Christian: Who is going to reside in the midst of the people? “And many nations will certainly become joined to Jehovah in that day, and they will actually become my people; and I will reside in the midst of you.” And you will have to know that Jehovah of armies himself has sent me to you. Christian: Who did we say was going to reside in the midst? Christian: Do you see why Christians believe that Jesus is fully God? We have seen that there is only one true God, yet Jesus is called God. Jesus does the works of Jehovah, receives the titles of Jehovah, is given honor and worship along with Jehovah and is the one with the exalted Name. JW: Well, that’s only two. The Trinity requires three. Christian: I would be happy to discuss the Holy Spirit with you on another time. When would you be willing to come back?